We are working with the Navy for a June Excursion for up to 36 Villages Straight Shooters Club members. Naval Station Mayport tours normally are available only for Navy-affiliated groups. However, the U.S. Navy has approved the Village Straight Shooter Club due to our high percentage of veteran members. This is a Straight Shooters member ONLY activity. A Membership wide announcement will be issued as soon as arrangements are finalized. You may make reservations for up to two Straight Shooters with this transaction. All reservation information must be accurate for each attendee. Do not make more than one reservation in your name. We will depart at 7:00 AM from the Walmart parking lot located on Rt 466 in The Villages. The bus will park near the old vacated Pharmacy Drive Thru at the far west side of the parking lot. We will travel in a comfortable Lamers Deluxe Motor Coach with comfortable reclining seats, restroom, refreshments, and other amenities. Lunch at the Oasis Galley on base with opportunity to mingle with Sailors. Orientation and tour of the base with a possible opportunity to board a combat ship. PLEASE NOTE: For reasons of safety, all participants must be physically fit, capable of walking a brisk mile and climbing up and down ladders. Anyone not meeting these physical standards should not expect to tour a ship. Please wear comfortable shoes; slacks and flat-heeled shoes are recommended for women. The tour will involve climbing and can be strenuous for some. Those persons who use a wheelchair, walkers, canes, or have difficulty standing or walking for long periods should not expect to tour a ship. It will be necessary to walk a distance to the ship or helicopter hangar. Participants will have a background check conducted by the Navy. When the bus arrives at the Naval Station, guests may be asked to exit the bus and produce identification. No photography of ships, aircraft or security personnel will be permitted. Photography is allowed on board the ships but is up to the discretion of the ships' commanding officer. The Navy has set our tour size at 36. Demand for this tour will likely exceed this number considerably. If so, future Naval Station Mayport Excursions will be arranged. Many members of the Villages Straight Shooters are U.S. Navy Vets with Naval Station Mayport serving as home port for several. Some two dozen ships are presently berthed in the Mayport basin, including AEGIS guided-missile cruisers, destroyers and guided-missile frigates. The Naval Station is unique in that it is home to a busy seaport as well as an air facility which conducts more than 135,000 flight operations each year. Naval Station Mayport consolidated operations with Naval Air Station Mayport in 1992 and became Naval Station Mayport. More than 14,000 active-duty personnel, 45,000 family members and retirees and 1,400 civilian employees comprise the Mayport family. 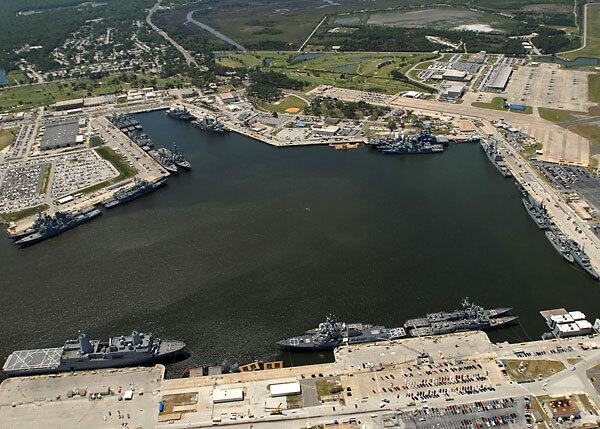 The Navy at Mayport covers 3,409 acres and is the third largest naval facility in the continental United States. USS Tattnall, DDG 19 entering Naval Station Mayport from 6 month Mediterranean deployment. (1973) Club member Roger Marksberry on the Con. 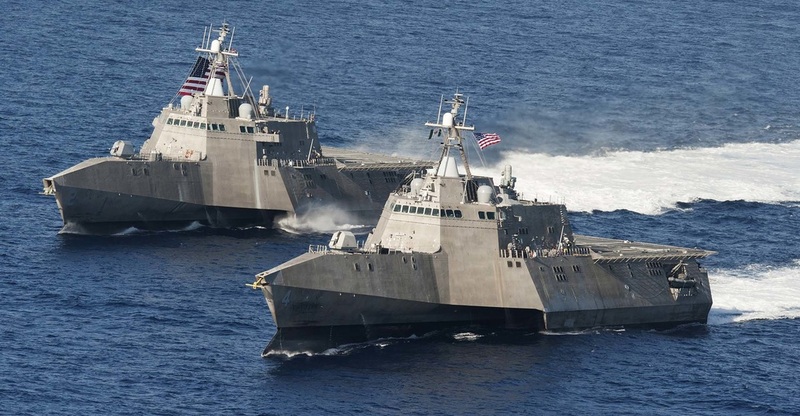 Mayport could be home to 17 littoral combat ships. Eventually, the Navy says it wants 55 of the vessels. 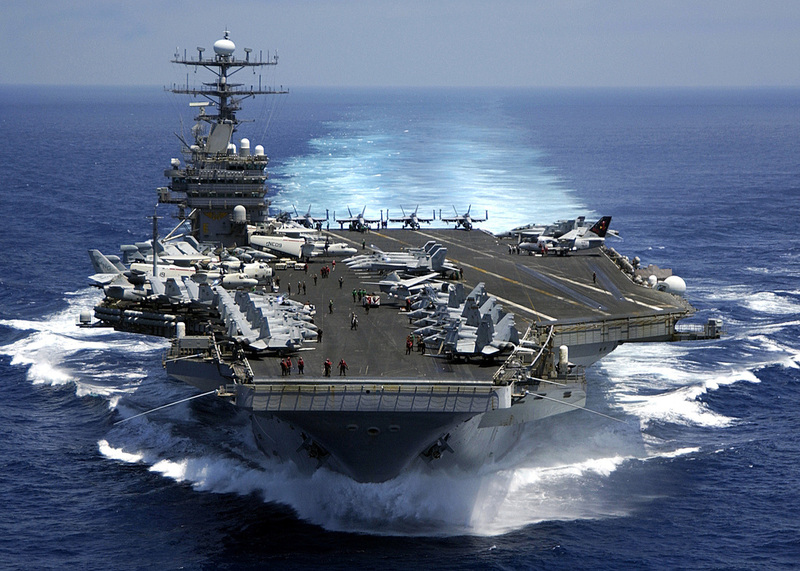 The Navy has decided to base a nuclear-powered aircraft carrier at Mayport. Timing has not been announced.